The old camera is a Kodak DC290. 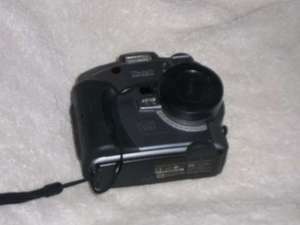 2.1 Megapixels, uses Compact Flash and 4 AA batteries (NiMh preferred, but alkaline work). 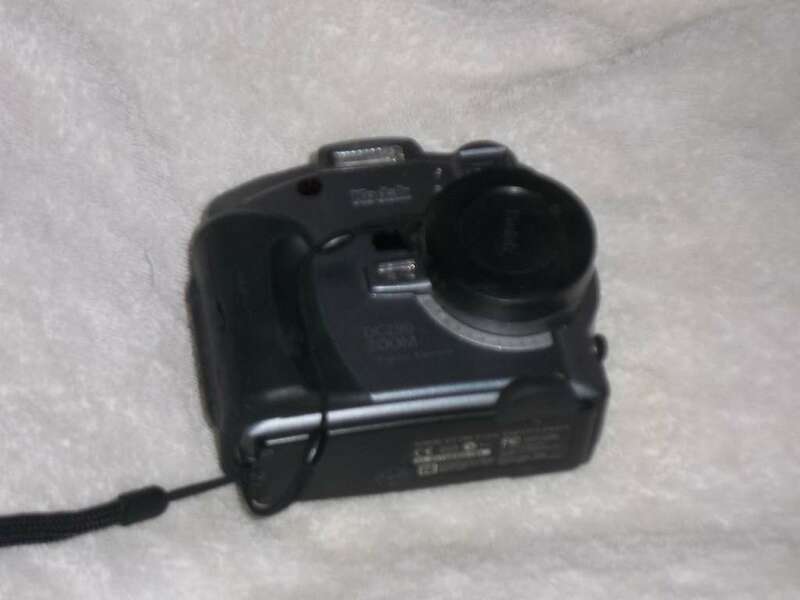 The new one is a Kodak Easyshare M23, 14 Megapixels, uses SDHC and a small rechargeable lithium battery. The camera recharges the battery over a micro-usb cable. (Cable and AC adapter included.) Besides being smaller and lighter, the new camera is faster (the old one could only take 4 or 5 pictures per minute), can do video, and has some features for interfacing to the windows software they supply that are useless to Linux users as far as I can tell. The automatic lens cover is one feature I like, it would have been nice if it also had one for the LCD display. Unfortunately the camera does not show up as a hard drive when connected via the USB cable, so I have had to remove the SD card to transfer photos. Rather than posting the large files directly from the camera, I have been reducing the size and quality of the images you get when you click on the pictures. I did not feel that was needed with the old camera. The camera should work with libgphoto in PTP mode so you don't have to pull the SD card out. Most cameras give the choice between two USB modes: * PTP (picture transfer protocol) aka MTP (media transfer protocol), a file transfer protocol which is independant of the underlying file system as it does not expose it directly, and which can be used with gphoto2 (and its interfaces, for instance Nautilus or gThumb); * MS (mass storage). So, I guess your camera is currently in PTP mode, perhaps you can change that to MS. In fact, the included softwareWcrap is useless to Windows users too. In fact the software provided by a camera, printer manufacturer or an ISP is typically the kind of thing that should be immediately dropped to prevent any installation, since there is no need for it and all it can do is bloating a Windows system. Great review,Blars! I hope you're happy with your new camera. I'll know on christmas what my son decided to get for me. He has much more expensive tastes, than I and is not technically challenged like his mom. I have no doubt I'll be thrilled with his decision! See you in a few eeeks, eh? Where are you right now? We are near Tucson. Is there any chance that the Rexhall near us is you? No, the rexhall you saw is not me. I'm currently on BLM land near Victorville, CA. with Bob Wells and a freind of his.